I don’t really ‘do’ Valentine. This months’ colors didn’t quite hit the mark with me either. I wondered what type of Valentine kit I would use for my own personal scrapping. Something I could use with the hundreds of pictures I have of my cute little kids of course, what else? A cute monster kit will do the job! 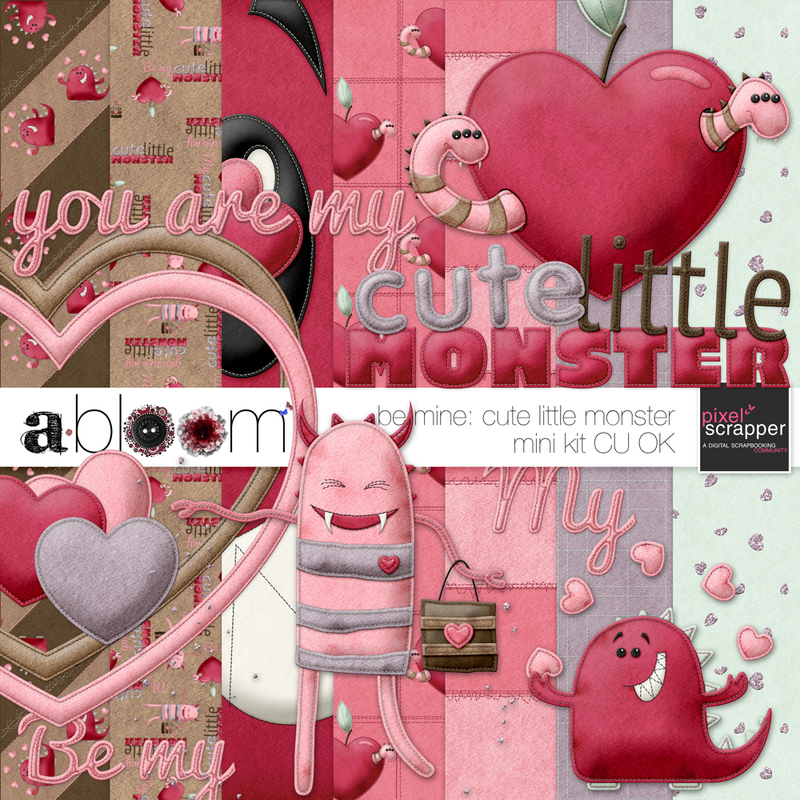 Only… somehow the cute little monsters all scurried away quickly the minute I sat down to draw them. I got one dragon type down on paper, but it wasn’t as cute as I wanted it to be. So I called in a favor. My friend and colleague Judith (Remember her? She is the one that helped me perfect my digital felting waaaaay back in the beginning of my felting fever) can draw – and felt – the coolest creatures. In exchange for a cable crocheted bracelet she sketched these lovely monsters and finally got me going. Personally, this is my favorite kit so far. Thanks Judith! 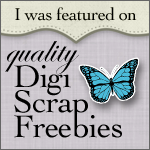 *sorry, download links expired* But, this kit is available at Pixel Scrapper now! Your kit is wonderful as always!! 😀 Unfortunatelly, ge.tt acts funny this way from time to time… I came to find out I had to upload and download my kit right after uploading there jus to be sure it was uploaded all right. I’ll come back later to try again. Thank you so much!!!!! These are indeed really cute!! I love your interpretation of the theme. Oh, and doesn’t Judith like more of those bracelets?? 😉 She did a lovely job! Love this kit but when I click on the link above, the page has no links to download. I read the tutorial but there is nothing on the page except a big blue arrow pointing down that says get it. I want this kit and will check back later. Love this kit but I can’t see any links when I click your link at ge.tt. There doesn’t appear to be anything on the page. I really want this kit and thank you for sharing it when you get the links working. Sorry guys! Normally I always download my own uploads to make sure, but I ran out of time with this one – figures it instantly plays dead on me! It is all fixed and working now, so sorry for the inconvenience! The download worked fine for me, a little slow. Thank you for the really cute kit. I love your felt fever freebies! Thank you! Love your felts!!! THank you! LOVE your kit. LOVE that it’s different. I also didn’t get into this theme, so my kit was about dogs/adoption. Thank you for sharing your talent. This is so cool Melo!! Love what you did. Thanks for sharing. Got the darling kit, thanks, know sometimes with Gett, I have to go back later, probably traffic problem. Adorable as always, thank you! So very adorable. Heartfelt thanks. Another absolutely fantastic kit! I love your creations. Keep the felt fever coming! Love all these fun friends! This is just adorable! I used to have one of those cute little monsters of my own… Thank you. Thank you. I love all of the felt items! Fell in love with the felt you did!! I think I am having the felt fever too!!! Wonderful kit. The heart apple with the worms are adorable. Thank you for sharing your talents. Humm… May I see your dragon someday? I’m DYING from all the cuteness! I can’t wait to play with these little guys! I love your felt critters so much! Thanks Melo! These monsters are oh so perfect! Thank you! This is absolutely adorable Melo! I love those little monsters! Thanks for sharing! This is so adorable! Thank you for creating it for us!